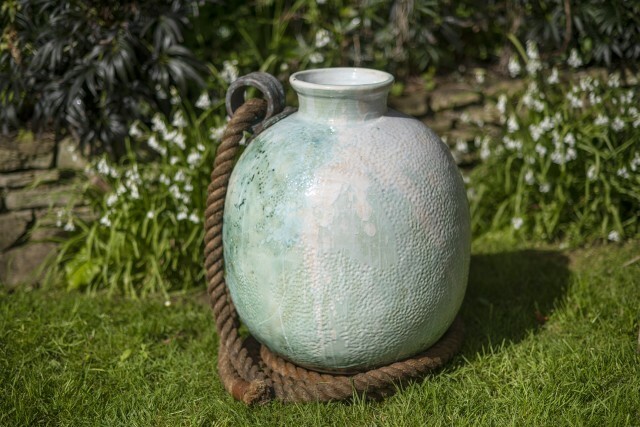 Taz Pollard is an award-winning ceramic artist living and working in North Devon. She graduated with a BA Hons in Ceramics from the University of Wales Institute Cardiff. During her MA in design and Ceramics at Bath Spa University she studied the traditional pottery of the area from the post medieval period to the present day. As she developed her skills, Taz worked with local archeologists in order to delve further into the past. The time that she spent in this pursuit helped her in the development of her current contemporary work. Taz's work has moved on considerably from traditional beginnings to the contemporary ware she now porduces. Craftsmanship is still at the heart of her practice. Her work is handmade and it bears the mark of the maker, with the result that each piece is truly unique and beautifully imperfect.